helps alleviate gas or tummy upset in both mother and baby. Helps mom with postpartum recovery due to the high vitamin and mineral content and to the Red Raspberry Leaf which will help with postpartum uterine recovery while also supporting breastmilk production. The tincture form of this product is handy when frequent doses are needed throughout the day or if you have little time for brewing tea. They can be used together if desired - a cup of tea in the morning or a relaxing cup at night, using the liquid extract tincture during the day while you are on the go. 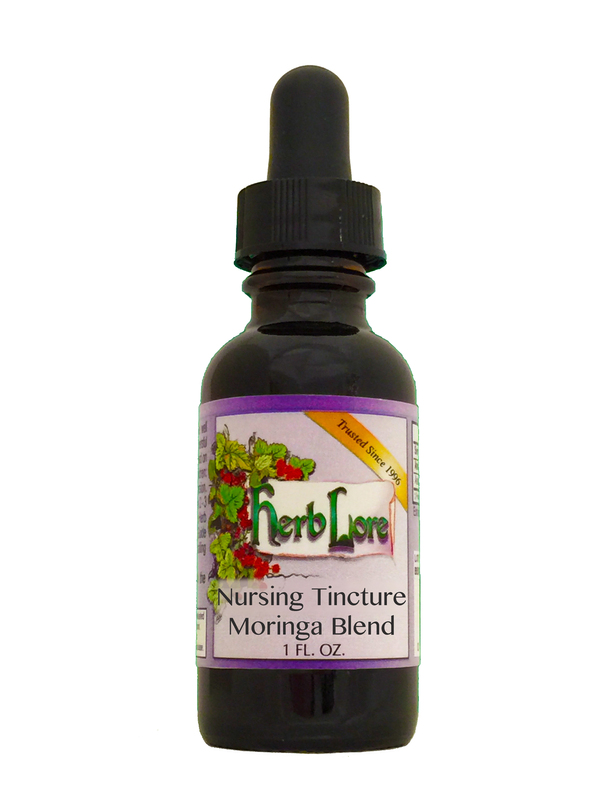 With a tincture, nothing needs to be brewed - you just take the drops and you're done! (Helpful Hint: Two droppersful (squeezes) of the tincture equals one 8oz cup of tea.) This product can be used in conjunction with Fenugreek, Goat's Rue, Moringa, Shatavari or Blessed Thistle. NOTE: Those on blood-thinning medications should use this product with care (or perhaps not at all) as the product does contain a small amount of Alfalfa, which is high in Vitamin K, the blood clotting vitamin. Goat's Rue, Moringa or Shatavari would be the next gentlest and easiest-to-use product.